Its uniqueness, it’s a place so different to the common hotel. I liked the simplicity and elegance of this property. 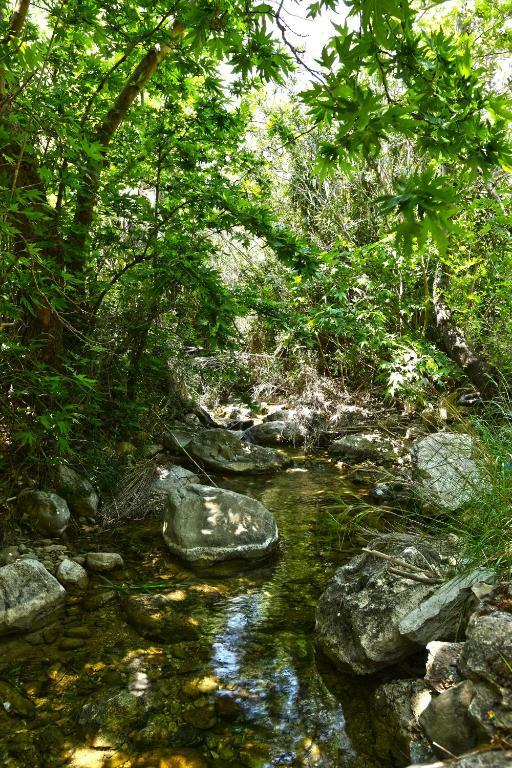 It is in a quiet location, in nature and is Eco-friendly. I recommend it for a short period stay, it's a perfect place for relaxation. Prefer the rooms that are in the upper level. Staff is very friendly. Very friendly and courteous staff. We were even provided a gas heater as the nights in April can be a bit cold. Thank you! The place has everything someone needs to relax and find his peace of mind. It’s the perfect place for someone who needs to get “offline” and live the experience of life as it was some decades ago, thus providing all the necessary facilities such as kitchen, refrigerator and hot water 24/7, always with great respect for the environment using just solar energy. Not to mention the sparkling cleanliness of the rooms. Location with easy access to several natural and untouched beaches, and just a 10’ minutes walk from the charming fishing village of Makris Gialos. On top of all that, a super friendly, helpful and relaxed staff. Very quiet and rustic, with beautiful stargazing at night. Friendly and helpful staff. 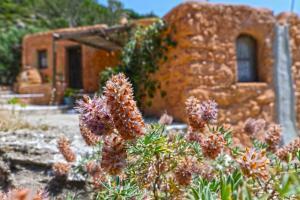 Simple and rustic accommodation, lovely scenery in a picturesque rural setting. Placed in the lower end of the Pefki gorge the 300 year old complex exudes old world charm and has an instantly relaxing feel. The rooms are light, cool and airy with basic facilities and they supply all your needs. Hot water, lighting, kitchen facilities, (cooking/fridge) and bathroom facilities are perfectly adequate for the relaxing style of the property. Our room was turned down every two days and this was perfect for our extended stay. The staff are lovely and helpful with lots of info on the local town which is a 10 minute walk away. We loved it and thoroughly recommend it and will likely return. There are no charging facilities in the rooms but there are provided in the office/reception area. The only other caution that is needed is on the drive to the property as the road is concreted/unpaved and there are no barriers, but it's worth it at the end. 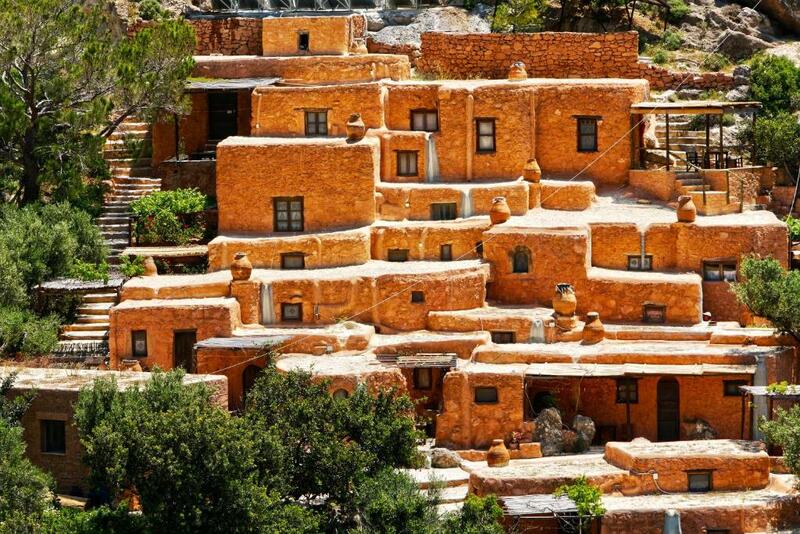 The idea of restorted old houses is absolutly great. Lack of electricity allows for a great star gazing in the evening. The location was beautiful!!! Everything was very clean and well kept. Loved the cats❤️ Just a very pretty and relaxing property. 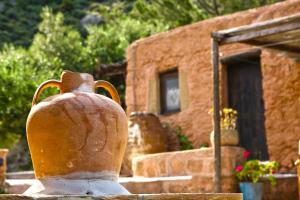 The rooms were very unusual but very pretty!A real Cretan house. We enjoyed our little front porch and had a lovely little cat who visited us all day. The breakfast was fabulous and huge! The hosts were very kind and made us feel at home. I would stay here again. Lock in a great price for Aspros Potamos – rated 8.3 by recent guests! 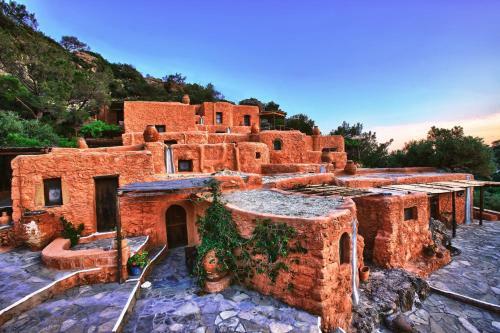 One of our top picks in Makry Gialos.Set amid the lush valley of Aspros Potamos, the 300-year old, restored guest house of Aspros Potamos features authentic Cretan accommodations. 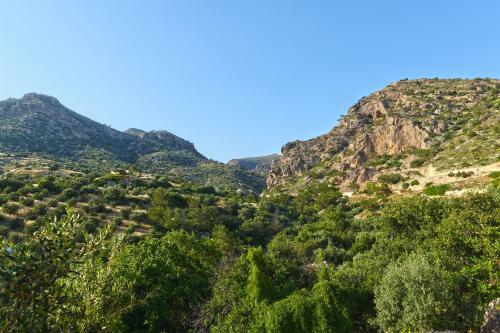 Fully operating with sustainable energy sources, it offers self-catered units with a furnished terrace overlooking the valley and Pefki Gorge. Located on different levels and built of natural stone and wood, the traditional studios and apartments come with a kitchenette and fridge. Some have a dining area. A daily breakfast at Aspros Potamos is available upon request and served in the reception area. BBQ facilities are accessible on site. Restaurants, cafés and a minimarket are only 0.6 mi away. 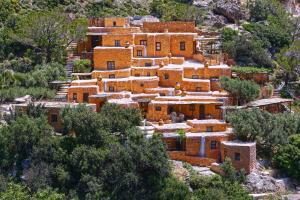 The grounds consist of narrow stone-paved pathways and are surrounded by colorful plants. Free Wi-Fi is provided in public areas. 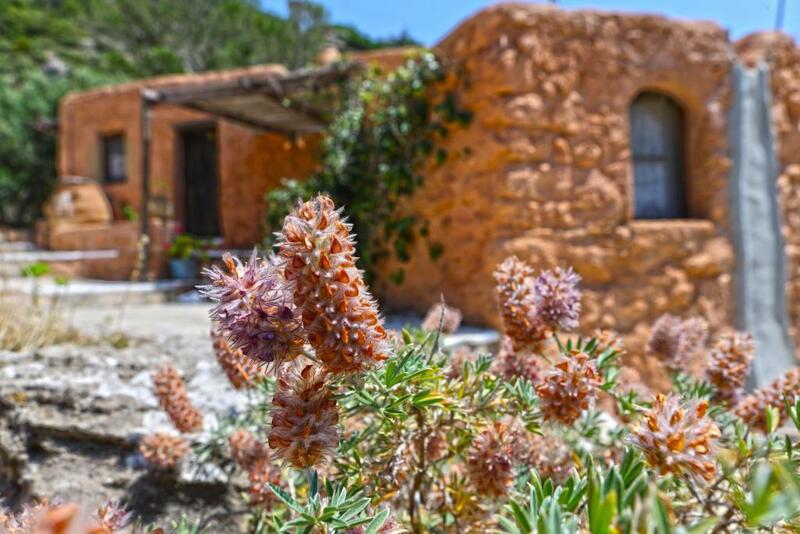 Aspros Potamos is 18 mi from Ierapetra town and 21 mi from the seaside town of Sitia. A number of beaches, such as Staousa and Diaskari Beach are located less than 4.3 mi away. A bus station can be found 1.2 mi from the property. When would you like to stay at Aspros Potamos? Built of natural stone and wood, this traditional studio offers a terrace with views of the valley and Pefki Gorge. It includes a kitchenette and fridge. 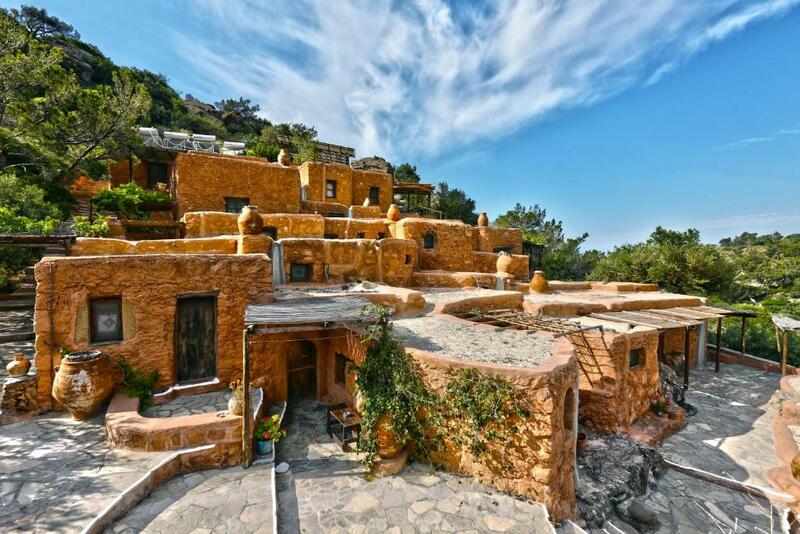 Built of natural stone and wood, this traditional apartment offers views of the valley and Pefki Gorge. It includes a dining area, kitchenette and fridge. This studio has kitchenware and patio. House Rules Aspros Potamos takes special requests – add in the next step! Aspros Potamos accepts these cards and reserves the right to temporarily hold an amount prior to arrival. There is a transfer from the bus stop to the guest house. Please inform Aspros Potamos in advance if you want to use this service. 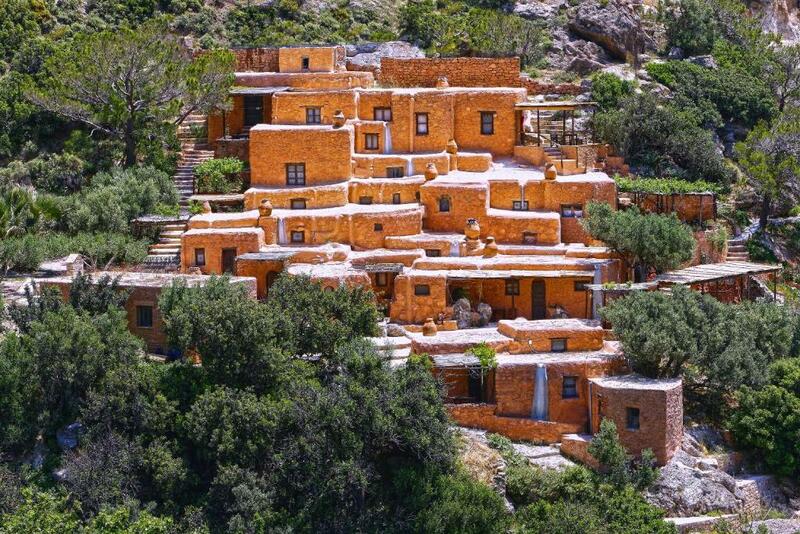 The stone built houses of Aspros Potamos, originally built 300 years ago, use only renewable energy sources. The property’s solar photovoltaic system is used to illuminate the grounds and gardens, reading lamps above beds, bathroom light, and also refrigerators in the kitchen. Also hot water for the shower is generated with this system. Candles and oil lamps provide the main lighting in the houses. There are no electrical sockets in the houses. At the reception room, guests can charge any electrical appliances. In the same room there is a library, internet and WiFi network, all free of charge. Lots of cats and room was really small. Not much it is exactly what was described and perfectly met all our requirements. Aspros Potamos is like Paradise on Earth! The oil lamps are really tough to get used to. We bought a LED lamp for the kitchen (the bedrooms already have them, and they are great). The approach road is terrifying but you soon get used to it! Magical location, surprisingly comfortable beds, impeccably clean (sheets changed every three days at least). A true break away from the stresses of modern life. The natural stone floors and the layout are a little hard to get used to, but look, this isn't (luckily so) a Holiday Inn. We appreciated the quiet and the uniqueness of the property. It takes a while to absorb everything - everywhere one looks there are cool and tasteful details. We were pleasantly surprised to find that the rooms were so comfortably cool even though daily highs were in the mid to upper 20's. Best of all was the 7€ breakfast that could eat outside. Terrific eggs, ham, omelet, etc. and the double Greek coffee - a dream! The proximity to excellent taverns for meals is a real plus. No dinner-lunch provided, but there is equipment to prepare yours (no fridge). Prices could be lower. There are many cats around. We would have liked a better outdoor seating area. 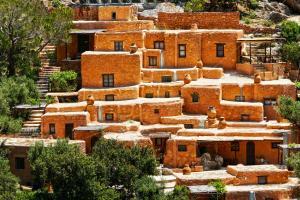 We loved the setting and the quirkiness of the stone houses. The bed was really comfy. It was slightly complicated to find its exact location but after a couple of hundred meters it was there.